We are glad to announce that one of our team members, Business Development Director Darja Krizska-Popova, was elected as a board member of the Swedish Chamber of Commerce in Latvia (SCCL) on May 18, 2018. Congratulations! The Swedish Chamber of Commerce in Latvia is a non-profit organization and has done great work in developing Latvian–Swedish relationships since 1996. SCCL helps to strengthen the cooperation between Swedish and Latvian companies and serves as a social platform for business people from both countries to establish new contacts. 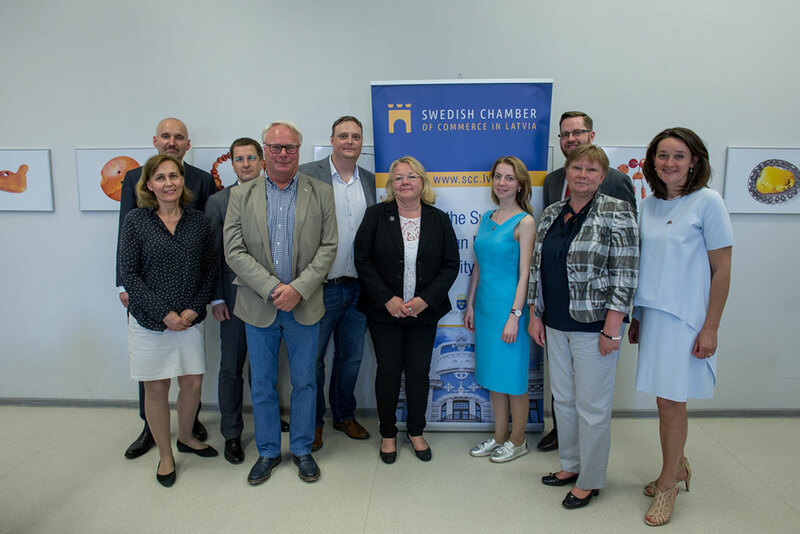 The chamber focuses on expanding investment and trade between Latvia and Sweden and offers numerous meetings, conferences and seminars that promote the interests of all its members. Diatom has been a member of the SCCL since 2014 and has actively participated in various events organized by the chamber, expanding our contact network. “I remember the welcoming atmosphere of the chamber, how informative the conference was and the dozens of interesting people that I met on that day with whom I still continue to communicate”. “It has also been a priceless experience for Diatom during all those years to learn more about the Swedish companies and the business opportunities in Sweden,” she adds. Today we continue to grow our business network and search for new business relationships in Sweden. In 2017 15% of our clients came from Sweden, and we continue to grow. When talking about doing business with Sweden, we always mention a few key similarities. First, our Swedish clients value our proximity – it’s just a one-hour flight from Stockholm to Riga. Thanks to the well-developed infrastructure, the logistics are organized smoothly with excellent usage of business hours. In addition, there is almost no time difference between the two locations, making it easy to conduct business meetings and facilitate quick communication. Another thing our clients emphasize is that the Swedish and Latvian business communities have similar mentalities. It is easy to find common ground, and there are rarely problems with communication. People in Sweden and Latvia are mostly multilingual, and there is typically no language barrier between the two countries. Once again, we congratulate our colleague Darja and are looking forward to the new opportunities that will arise with her new challenge. In fact, we plan to participate in the SCCL events and organize several networking projects together. Of course, we will also continue to expand our client network in Sweden. So, stay tuned and feel free to join us in this adventure!